Single ingredient pasta shapes made from either certified organic, non-GMO black bean or red lentil, which contains around 6 times more protein than wheat pasta. The pasta holds its shape really nicely, has a robust flavor and looks attractive on the plate. 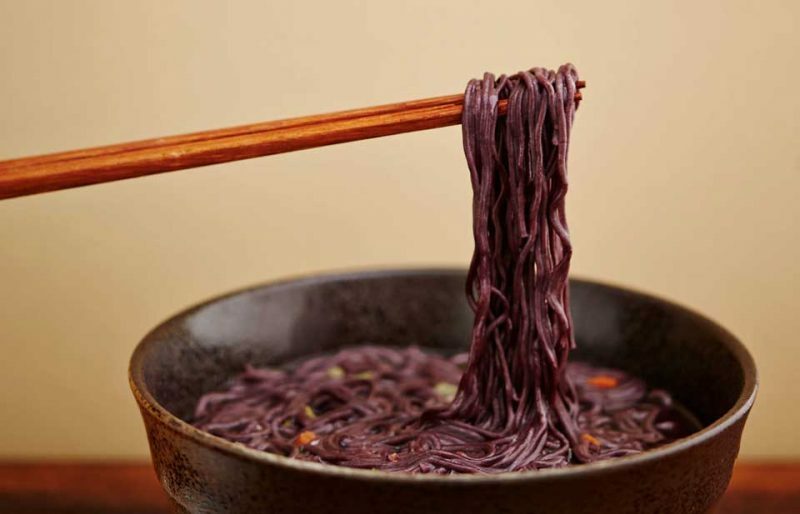 Ramen noodles made from organic, heirloom black rice. We love these because they taste great, have a really nice texture and the color makes for a dramatic presentation. Six delicious fresh pastas made without rice, corn or wheat. Instead, a gluten free mix of millet, tapioca, sorghum, teff and amaranth is used to create six different fresh pasta shapes. This pasta contains eggs. We like these pastas because they cook up really nicely, have a good texture and flavor and contain no rice or corn. If you need to avoid gluten, but can’t tolerate rice flour, this is a tasty option.